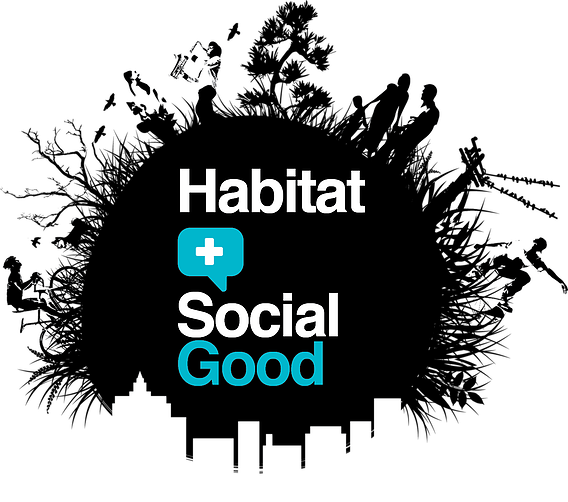 Summaries of the placemaking highlights, reflections, and next steps from Habitat 3. 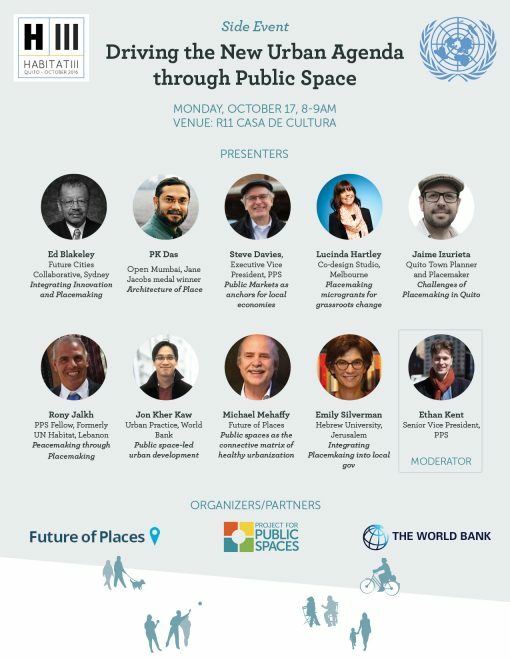 Next week, Project for Public Spaces will join delegations from around the world in Quito, Ecuador for Habitat III, a conference that only happens every 20 years where global leaders will finalize an agreement on the future development of cities called the "New Urban Agenda." PPS has spent the last 6 years collaborating with UN Habitat on projects, publications, trainings and many global conferences to make public spaces, public markets, and placemaking a fundamental part of the New Urban Agenda—all topics which had been underrepresented in the global development dialogue until introduced in the 2011 resolution on Public Spaces and the subsequent launch of UN-Habitat's global public space program. 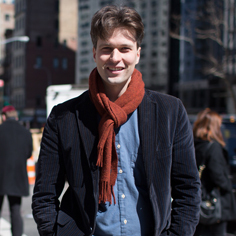 But now, as the conversation is turning toward the implementation of the New Urban Agenda, placemaking is being seen as an indispensable tool to bring together many causes, disciplines necessary to making our cities healthier, more sustainable, and more just. PPS is leading and participating in many events during Habitat III. If you will be in Quito next week, please connect with Fred Kent (@Fred_Kent), Steve Davies (@Public_Markets), Ethan Kent (@EBKent) and Rony Al Jalkh (@RonyJalkh) who all will be in attendance. If not, we hope you will still follow these important proceedings on Twitter at @FutureOfPlaces and @PPS_Placemaking. 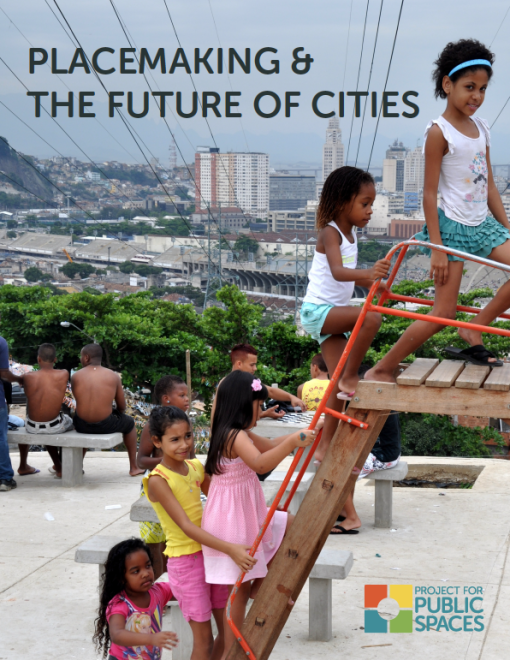 How can public spaces and placemaking support the New Urban Agenda? 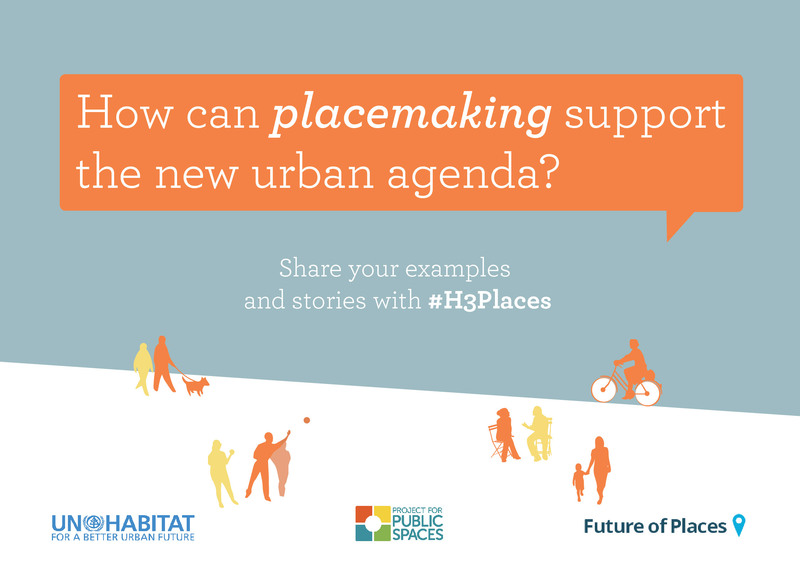 Share your ideas, examples and stories with #H3Places. Led by Quito Coucilor Daniela Chacon and Placemaker Jaime Izurieta. The recent renovation of Parque Narrarro was supported by our Placemaking workshops, training, and strategic planning in Quito last year. Representatives from around the world will report out on the results of Placemaking Week, our recent conference in Vancouver, BC. This panel of internationally renowned placemakers will share their thoughts on how best to fulfill the promise of the New Urban Agenda. Participants include Ed Blakeley (Future Cities Collaborative, Sydney), PK Das (Open Mumbai, Jane Jacobs Medal Winner), Ming Zhang (Urban Practice, World Bank), Emily Silverman (Hebrew University, Jerusalem), Lucinda Hartley (Co-design Studio, Melbourne), Michael Mehaffy (Future of Places), Rony Jalkh (PPS Fellow, formerly of UN Habitat Lebanon), Jaime Izurieta (Quito Placemaker), Steve Davies and Ethan Kent (Project for Public Spaces). 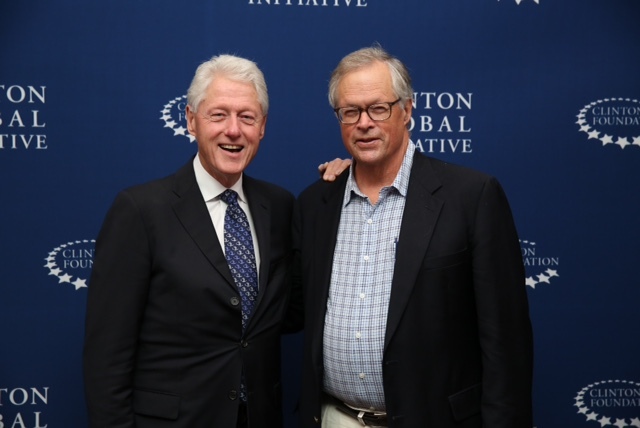 PPS will be presenting our new commitment to action for the Clinton Global Initiative of the Clinton Foundation, and discussing how our Placemaking Leadership Council is adopting the commitment to action model. Co-organised by Nairobi City County, the World Bank, UN-Habitat, and Project for Public Spaces. 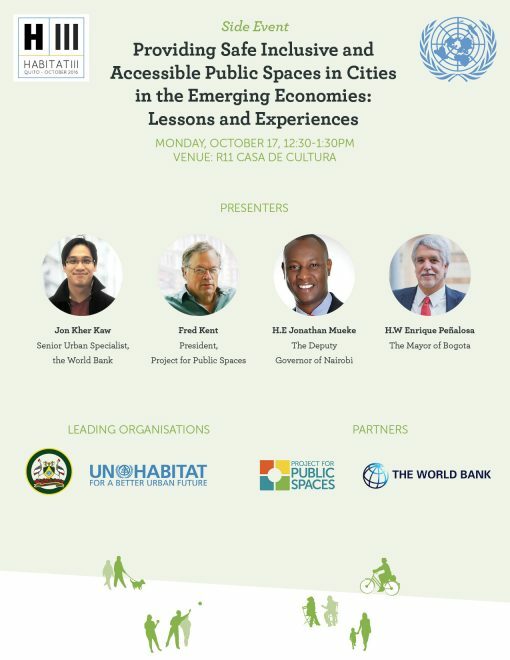 The event will take stock of best practices from various cities, showcasing innovations on building urban safety, and city resilience through public spaces, and sharing experiences and strategies on how to provide, improve and secure safe, inclusive, vibrant, and accessible public spaces. It draws from the experiences of Nairobi’s Public Space Revitalisation Program, World Bank’s Urbanscapes initiative, UN-Habitat’s Global Program on Public Space’s work, Project for Public Spaces work across the world and the city of Bogota’s experience in enhancing quality of life through a people-centred approach to urban development and the transformation of public spaces.